length: please select! 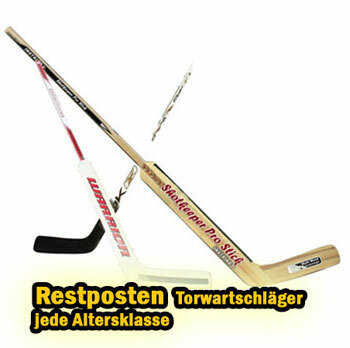 27" (71 cm) 26" (66-68 cm) 23.5" (63 cm) 21" 53 cm Junior Bambini 18"
A diversity of good goalie sticks (e.g. Sherwood 530 Iron Carbon /Warrior Swagger /Ferland 9950, RBK Reevok etc). The RRP is up to € 80,00. - You cannot choose a stick, as we are sending out single remnants. But the stick will definitely be more valuable. It&apos;s a surprisepack at a great price.